Kick off your visit on the 18th (Sun): look for all kinds of wild species at Key West Butterfly & Nature Conservatory, then examine the collection at The Ernest Hemingway Home and Museum, and then pause for some serene contemplation at Saint Mary Star of the Sea. To see photos, more things to do, ratings, and more tourist information, use the Key West holiday maker tool . Miami to Key West is an approximately 2.5-hour flight. You can also do a combination of bus and flight; or drive. Expect a daytime high around 81°F in November, and nighttime lows around 73°F. Finish up your sightseeing early on the 19th (Mon) so you can catcht the bus to Marathon. To see traveler tips, maps, photos, and tourist information, read our Marathon online road trip planner . Traveling by bus from Key West to Marathon takes 1.5 hours. Alternatively, you can drive. In November, daytime highs in Marathon are 82°F, while nighttime lows are 72°F. Finish up your sightseeing early on the 20th (Tue) so you can go by car to Orlando. A vast expanse of pristine wetlands, Everglades National Park holds the distinction of being the largest tropical wilderness in the U.S.
On the 21st (Wed), look for all kinds of wild species at Everglades Alligator Farm, then trek along Pineland Trail, and then look for all kinds of wild species at Shark Valley. Get ready for a full day of sightseeing on the next day: explore the wealth of natural beauty at Everglades National Park. 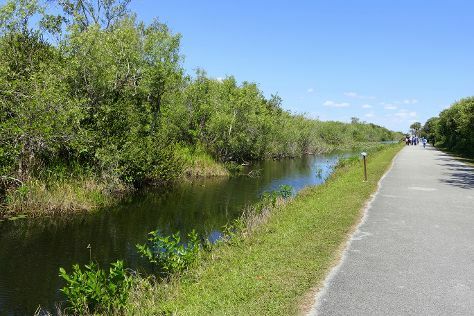 For other places to visit, reviews, where to stay, and tourist information, read our Everglades National Park day trip planning website . Traveling by bus from Marathon to Everglades National Park takes 3 hours. In November, plan for daily highs up to 82°F, and evening lows to 72°F. Finish your sightseeing early on the 22nd (Thu) so you can travel to Orlando. Here are some ideas for day two: find something for the whole family at Universal Orlando Resort. To see traveler tips, where to stay, other places to visit, and other tourist information, go to the Orlando trip maker tool . Traveling by car from Marathon to Orlando takes 6.5 hours. Alternatively, you can take a bus; or do a combination of bus and train. Traveling from Marathon in November, expect little chillier with lows of 62°F in Orlando. Wrap up your sightseeing on the 22nd (Thu) early enough to drive to Miami Beach. Start off your visit on the 26th (Mon): enjoy the sand and surf at South Beach, appreciate the extensive heritage of Art Deco Historic District, then admire the masterpieces at The Wolfsonian - Florida International University, and finally take a stroll through Lincoln Road. Get ready for a full day of sightseeing on the next day: wander the streets of Collins Avenue, then pause for some photo ops at Holocaust Memorial, then enjoy some diversion at Lock & Load Miami, and finally buy something for everyone on your list at Bayside Marketplace. To find other places to visit, ratings, traveler tips, and tourist information, you can read our Miami Beach road trip website . Traveling by car from Orlando to Miami Beach takes 4 hours. Alternatively, you can take a bus; or do a combination of train and bus. Traveling from Orlando in November, you can expect nighttime temperatures to be a bit warmer in Miami Beach, with lows of 70°F. Finish your sightseeing early on the 27th (Tue) so you can drive back home.